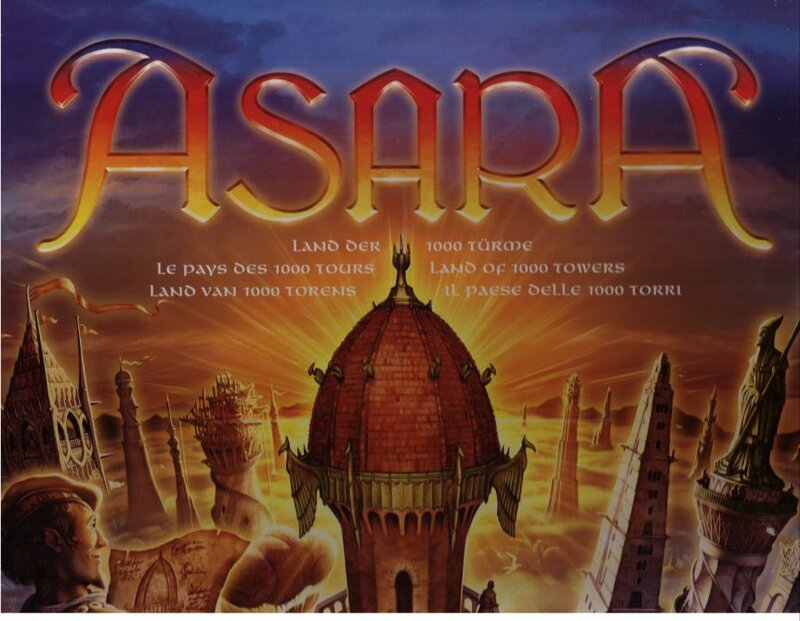 Asara, the land of a thousand towers opens its gates to you! As creative builders, you will compete to construct the most magnificient t owers. With each completed tower and every sumptuous embellishment, your prestige with the ruling caliph increases. By using clever tactics at just the right moment, you can thwart your opponents to become the towering master. I can't believe that this game doesn't get more love and attention! To me, this is the perfect gateway game - it's easy to teach, easy to grasp the goal, but has quite a lot of decisions to make through each round. Because it's fairly easy to play, I'm not sure it's my favorite strategic game to play when I want to think a lot, but you can't beat it for getting someone into the hobby!